We make it affordable to keep up with the services your automobile needs by offering Toyota service specials on our website. Our current service specials expire on June 30, 2018, so don’t wait too long to look over our service coupons to find one you want to redeem. To see our service specials, visit our website, click the Service tab, and then select Service & Parts Specials. When you do, you’ll see that you can save on Toyota Express Maintenance at our location this month. When you redeem the appropriate coupon in our Toyota service center near North Hollywood, CA, you can get an oil change and comprehensive service for just $79.95 plus tax. If your vehicle needs synthetic oil, this deal is $109.95 plus tax. This deal includes an oil and oil filter change, a tire rotation, and much more. If your Toyota car is from the 2011 model-year or a previous model-year or your Toyota vehicle has 75,000 miles or more on its odometer, you’ll love our Mature Car Special. If you take advantage of this service special, you can save 15 percent on any one service or repair performed on a Toyota automobile in our Toyota service center. 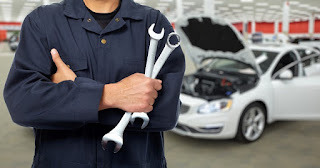 Believe it or not, we currently have even more service specials listed on our website. Look over our Toyota service specials now and contact Keyes Toyota to make a service appointment when you find the deal you want to take advantage of. Just don’t wait too long because our current service specials expire at the end of this month.